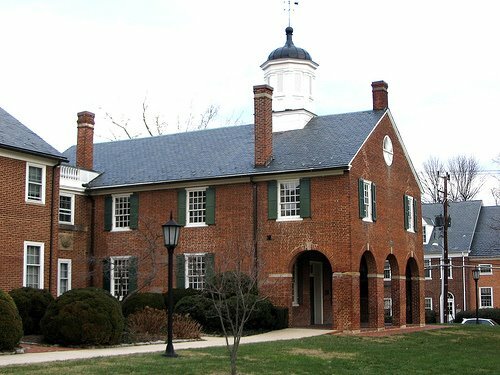 The next round in the litigation between The Episcopal Church/The Diocese of Virginia and the congregations in Virginia that voted to separate following Bishop Lee’s protocol and the statute 57-9 (which has been found to be both applicable and constitutional on all counts but one that has yet to be ruled) is today in the Fairfax Court House. Judge Randy Bellows will be hearing arguments concerning the property clause of the U.S. Constitution and 57-9. The Attorney General of the Commonwealth of Virginia has re-entered the case to defend the constitutionality of the statute. In addition, the Diocese has now thought up a new strategy and that is to assert that the eleven congregations “waived” 57-9 – which is sort of odd since they’ve never mentioned that before now. Guess we’ll see what that’s all about. Again, please keep the events today in Judge Bellow’s court in your prayers. I understand that millions have been spent over the last month or so by the diocese in preparation for today. Please keep your powder dry and your prayers unfurled. NOTE: And for the record, the congregations did not sue anyone. They filed their votes with the court following the law of the Commonwealth of Virginia. The Standstill Agreement made it clear that this was not a hostile act or that the congregations were suing anyone – hardly. It was the Diocese and The Episcopal Church that called off negotiations and filed not one but two lawsuits against the eleven congregations and nearly 200 volunteers and their rectors. Let’s just be clear about that. ← Bob Dylan meets Johann Pachabel – no, really! I pray about the litigation daily, whether or not it is in the news… but so appreciate your updates and will certainly be praying with this focus throughout the day. God bless you all. BB, please don’t get me wrong here. I really, really want the CANA congregations to win this, but I can’t see any reason for optimism.I posted a comment on the Christianity Today Liveblog and asked for someone to give me reason to hope, but no one did.I’m not a lawyer, but it seems to me that this first has to be tried at the state level before going federal. The state law has been upheld. Understood. But at a federal level, I, for the life of me, cannot see 5 Roman Catholic SCOTUS justices allowing states to enact laws that would effectively do away with hierarchical denominations, not to mention the liberal justices who would have no reason in the world to support the CANA congregations.Can you help me here? Because it would not be a problem for the RC. They maintain the deeds in the diocese name, so there is no way a parish could leave with the property since they don’t own it. The judge in this case made specific reference to that fact and how TEC could have avoided this whole problem by requiring the same. But they didn’t so now they pay the price. BB- One comment and one question – firstly, I do not understand why it is important that the laity support the Bishop. Isn’t it always thus? How does this distinguish/seperate TEC from the romans?? Secondly, do you see this going Federal -Supreme Court -route and, if so, will this affect how the court sees the unique Virginia situation as it attempts to incorporate the broader nationwide situation? I really don’t have a personal opinion on these matters so would appreciate your “insider’s” viewpoiont. Well, Baby Blue, I was going to write a nice note of support, but reading your ire and hatred of your Anglo-Catholic brothers and sister, I may know why the could be Lord is allowing so much refining fire in the life of the VA 11 CANA parishes.In short your history is skewed and very biased, I’d say heavily flawed. One does ponder if you’d not be happier as your own little non-denominational churches after reading your comment above. More I think you should maybe not spend so much time going to the Fairfax County Courthouse if it’s putting a stumbling block for you. Paul,Regardless of commenters to the contrary, I am encouraged.It looks like this is going to be a royal/Canterbury/815/SCOTUS mess. To God be the glory.BTW, do you know that some congregationalist denominations (such as the Assemblies of God) are now arguing in court that they are hierarchical? Unbelievable. It may that this is going to end up being a train wreck for all of American denominational Christendom.And maybe that’s what we need and what God desires.Thank you. So, what happened in court yesterday? I can find no mentionof it. BB,I could nit-pick at many items, debating history (DioVA not been as you portray but frequently the cross-over state between North and South, which also is a cross over of different stream or to TFC current 1992 habits after John Yates+ desire the Big Evangelical approach to how is was before Yates+ arrived) but there one glowing inconsistency, by definition we are a hierarchical denomination, the Presbyterians are hierarchical, just it stops at the local presbytery. We have such a thing as bishops, we automatically become hierarchical.That’s not the problem, in fact if DioVA were obeying it’s hierarchy none of this would be a problem! The US would obey Lambeth 1998 1.10 because it was the mind of the Communion. VGR would not be consecrated because all 4 Instruments of Unity said “Don’t!” This court case would be dropped because the primates in DeS said so. If congregational, none of this troublesome oversight would be necessary, Truro would just do their own think, like Ravensworth Baptist just decided they didn’t want to belong to the SBC any more so their not. Truro waited and waited, for the Windsor process to fissile and GC06 to reject it, for Martyn Minns’ election and CoN to establish CANA, for the 40 Day process, the whole thing proves that there is a hierarchy and Truro submitted to doing it properly. A flawed legal argument by DioVA does not negate that Anglican are hierarchical, in fact CANA is actually proving this by following the proper methods and DioVA is actually bring in doubt because they ARE NOT submitting to any form of hierarchy (though ironically DioVA is making this a whole lot easier +Pitt, +FW +DioSJ).About the stumbling block … I’ve noticed that around court time, you tend to write high and mighty about Evangelicalism and trash Anglo-Catholics and specifically around court time after DioVA makes some off the wall argument (NOTE: I’m pretty tired of everyone using catholicity as their excuse to say we should submit to error and a path that’s leads away from the Church Universal). Problem at the moment is the adjective “Evangelical” does not mean white hats anymore, most Camp Allen bishops fit in the Evangelical camp but compromised and NOLA was a disaster, it’s the FiFNA that joined +Duncan in spearheading the charge, if for no other reason than there just “no room in the inn “for them anymore (not the best reason, but Acts 8:3-4 did cause the Church to obey Jesus’ words found in Act 1:8).When someone listed Nazir-Ali and Iker as heroes together in the same sentence (written as one might +Minns and +Anderson), I do think you should be more careful if +Lee errant logic is not causing you to lash out. If there were true submitting to authority, NONE of this would be happening, I think the error is in selective use of concepts.I applaud CANA for acting with methodical caution and truly giving +Lee every chance before acting to preserve the faithful. “Truro would just do their own thing, like Ravensworth Baptist just decided they didn’t want to belong to the SBC any more so they’re not.”Much better! Any way that you look at it Ms Schori, and Messers Bruno, Chane, Andrus, et al have lost. Two reasons:1. If the CANA churches win their property they will have demonstrated an irreparable wound in TEC that can’t be negotiated into healing. Property goes where the congregation goes.2. If the CANA churches lose their property they just quit the premises and leave the keys (and massive debts – and white elephant properties – to Schori et al. The embarassment and the headaches will not go away….…either way they lose the people.…which means that either way the TEC loses.Couple this with the Diocese of Ft. Worth and others leaving…and you’ll see a lot of wrangling at next summer’s General Convention. I wonder how many Mark Harrises, Louie Crews, and Susan Russells will get a sympathetic ear from delegates when they find that large portions of their Church are now missing.You won! A clearer indication of how this is going to work out across the US is the ongoing litigation between the diocese of South Carolina – of all entities – and All Saints, Pawleys Island. This case is greatly complicated by a 1745, pre-revolutionary, pre-Episcopal Church, deed of trust, but on the issue of property – including physical property, monies and the name “All Saints, Pawleys Island – not covered by that deed, the judge has ruled in favor of the continuing TEC congregation.The judge based this decision on a 1973 case involving the First Presbyterian Church of Rock Hill, in the north of the state. The judge said – I quote from “The Coastal Observer” – that “the majority of members withdrew from the Presbyterian Church and united with another denomination but still wanted the church property.“He said the  court ruled the remaining minority members owned the property and that the majority had no right to the property because they severed their relationship with the First Presbyterian Church.”“When a division occurs in a church,” Cooper [the judge in the current, Pawleys Island case] said, “the congregation is answered by who is the representative of the church before it split.”The principle that “the congregation is answered by who is the representative of the church before it split” will almost certainly hold in the 49 states which do not have Virginia’s 57-9 law, BB, and will very likely be the Federal courts’ last word on the Virginia case.